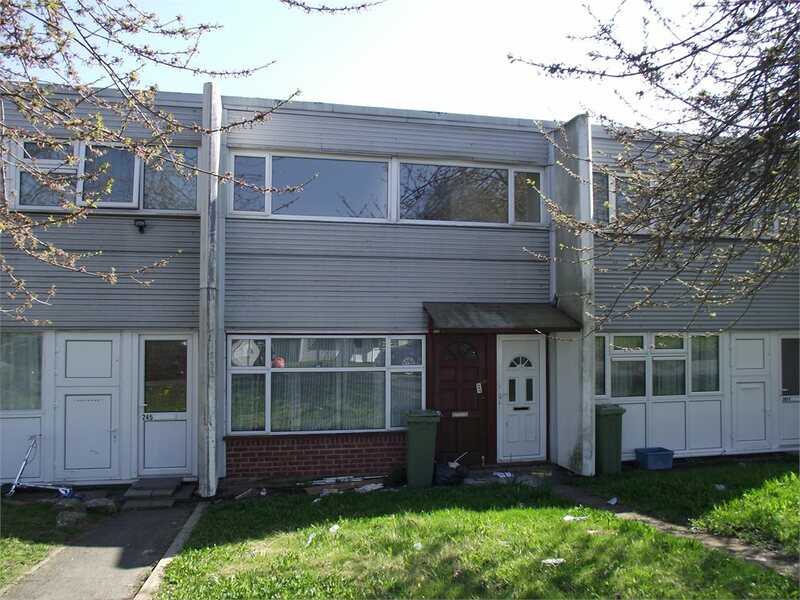 The Hide, Netherfield, Milton Keynes, MK6 4JD Sold STC £120,000 Situated with in a cul-de-sac is this 3 bedroom property. The property comprises of entrance hall, lounge, kitchen/diner, cloakroom, 3 bedrooms and bathroom. The property also benefits from double glazing and gardens to the front and rear of the property. Entrance Hall	UPVC double glazed front door opening onto the front garden, and stairs to first floor landing. Lounge	13'2" x 16'9" (4.01m x 5.1m). Double glazed uPVC window facing the front, radiator and laminate flooring. Kitchen Diner	16'7" x 11'7" (5.05m x 3.53m). UPVC double glazed French doors, opening onto the garden, radiator, laminate and carpeted flooring, roll top work surface, wall and base units, stainless steel sink and drainer with mixer tap, electric oven, electric hob, over hob extractor, space for washing machine, and space for fridge/freezer. Landing	Doors to all upstairs accommodation. Bedroom 1	10'2" x 11'10" (3.1m x 3.6m). Double glazed uPVC window facing the rear overlooking the garden, radiator and carpeted flooring. Bedroom 2	8'2" x 16'8" (2.5m x 5.08m). Double glazed uPVC window facing the front, radiator and carpeted flooring. Bedroom 3	8'1" x 13'3" (2.46m x 4.04m). Double glazed uPVC window facing the front, radiator and carpeted flooring. Bathroom	Double glazed uPVC window with frosted glass facing the rear overlooking the garden, radiator, vinyl flooring, low level WC, panelled bath with mixer tap, shower over bath and wash hand basin with mixer tap. Gardens	Private rear garden enclosed by fencing the gated rear access. Mainly laid to lawn with patio area and shed.